Have you been thinking about getting into the model railroading world? 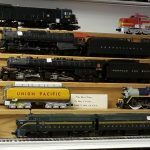 Before you dive headfirst into the hobby, there are some general things you should know that will help you better understand the lingo of the model train enthusiast. Here is some information you should know, courtesy of the experts at a model train store in Ewing, NJ. First and foremost, before you begin purchasing items for your model train set, you need to know which scale you want your set to be. The scale is the size of the model train in proportion to the size of a real train. The most popular scales are HO (1/87 the size of a real train), O (1/48), N (1/160) and Z (1/220). 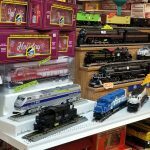 HO and N scale trains and sets are probably the best sellers on an international level, but O trains are extremely popular among people who get very into the hobby. Consider the budget you have for your hobby, the space you have to create layouts and your general aesthetic preferences when determining the scale of train set you will purchase. As you start planning out your future as a model train hobbyist, you should consider the kind of layout you will use for your train sets. If you aren’t planning on making a permanent train area, you don’t have to worry quite as much about the quality of your surface—you can use card tables, old dining room tables or even a carpeted floor. If, however, a permanent layout is something you’re interested in, you’ll need to do some more thorough planning, especially if you plan to use larger scale trains. You’ll probably want to dedicate a specific area of your house or garage to your hobby, and even build permanent tables or display fixtures for your collection. You can find a lot of high-quality layouts online at club and manufacturer websites, but bear in mind that these downloadable plans are usually specific to certain brands, so it might take a bit of customization on your end. It can also help for you to brush up on your woodworking if you really want to go the extra mile for customization—hiring someone to build a custom train layout table for you can quickly get expensive. Most train set packages come with a power pack. The standard is a DC power pack, which gives you some simple controls for your trains. However, many of the more serious model railroaders are using computer-controlled trains these days, which has led to an explosion in popularity of Digital Command Control (DCC). This is especially popular for people who own trains in HO and N scales. While there are digital controls available for people with O scale trains, most O scale manufacturers have their own specific digital control systems. This is just a brief overview of some of the things you should think about when first getting into the model train hobby. For more information about electric train sets in Ewing, NJ, reach out to Trains & Things or visit us today.